When it comes to baking for the school bake sale, I am quite possibly the anomaly. 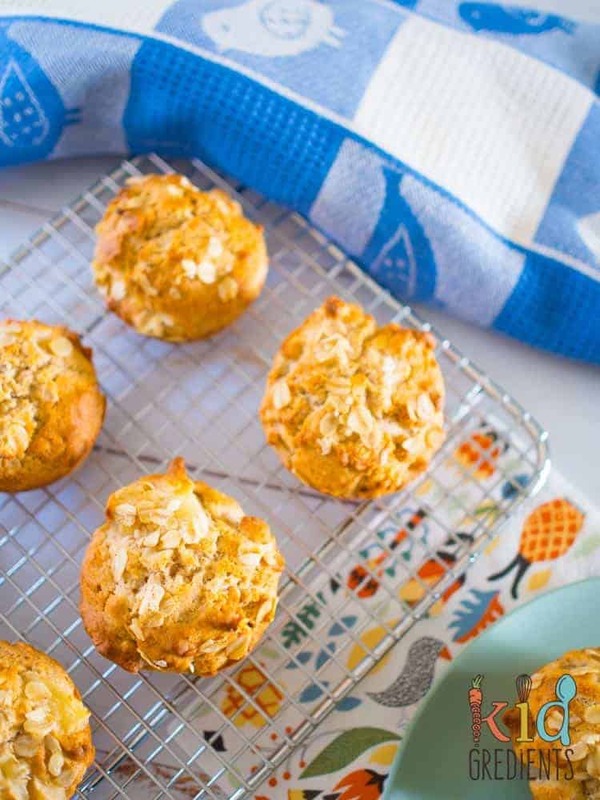 I cook things I would want my kids to eat as I assume there are a lot of people in the same boat as me who would like their kids to have low sugar treats. 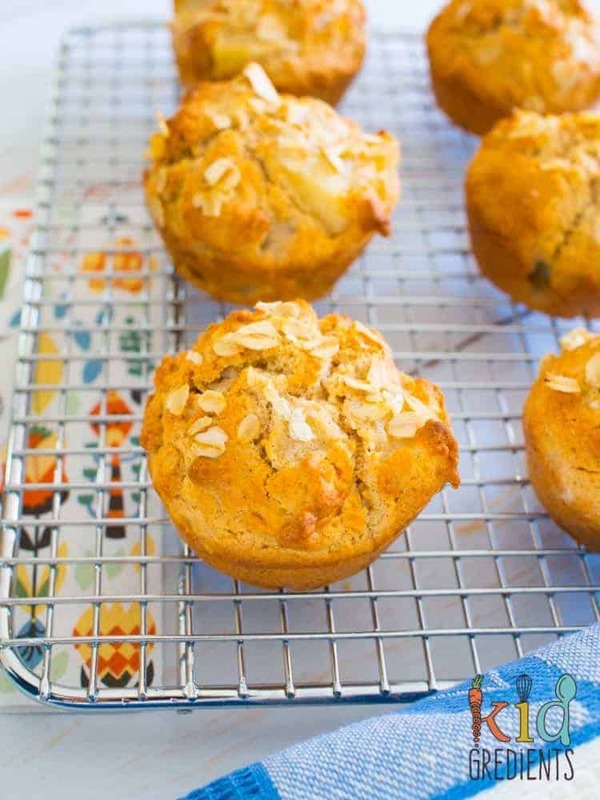 These apple oat muffins contain no refined sugar and are a much healthier alternative to things you might be finding at the bake sale! So, these have kind of become my breakfast this week. Why? because I always forget to have some! I organise the kids, organise their lunches and get their stuff sorted for preschool…then get home and realise I’m starving. So I grab a muffin and pop it on the bench while I get on with the rest of my morning. And then I sit down with a coffee and enjoy! 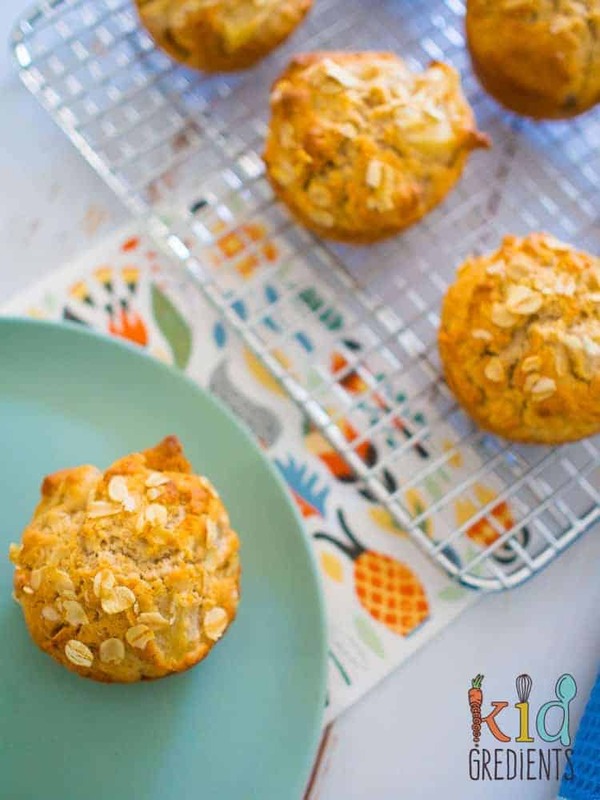 But these apple oat muffins are great for popping into the lunchbox for the kids and would make a great standalone recess (as they are full size). If you want, you can make them mini, but you’ll need to adjust the cooking time. 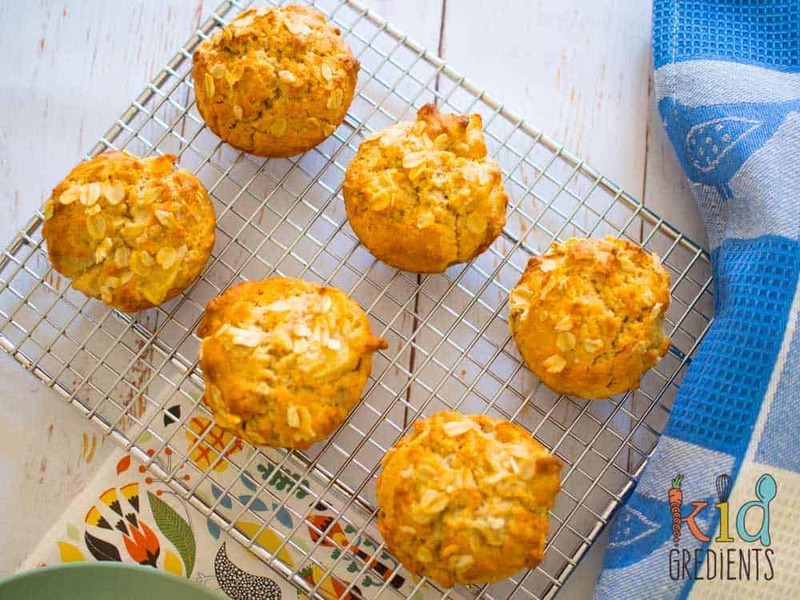 If you’re looking to stock the freezer these are perfect for it! 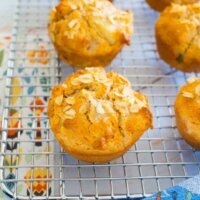 I would actually make a double batch as it means you’ll have plenty to go around, even if you start eating them for breakfast like me! The kids love them as they are sweet thanks to apple. The cinnamon helps to make them that bit yummier, it’s a classic combination of flavours that just works so well! Now random fact….see the tea towel? I bought that at Tilba Tilba, a little town I absolutely had to visit after watching River Cottage Australia. it was in a lovely little shop on the main street and I also bought a bunny one (which Miss 6 said “Will be great for photos when we cook rabbit!?!?!”). 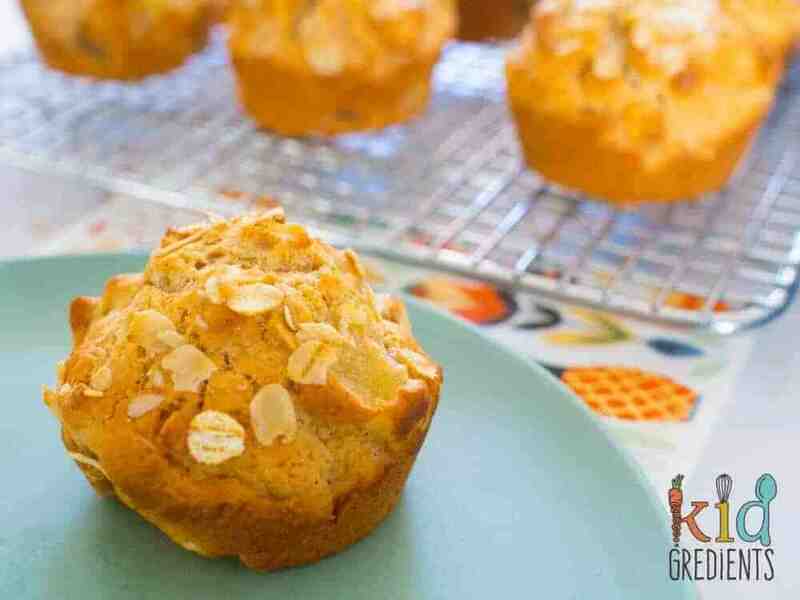 Apple oat muffins, no refined sugar! Combine all the ingredients in a large bowl and mix until well combined. Spoon into a 12 hole silicone muffin tray. Top with the remaining oats. Bake at 180 degrees celsius (355f) for 15 minutes or until golden. These work really good in the baby cakes/cake pops maker. I let them in for 4 minutes. Of course you can and it’s a 1:1 sub!